The Fundamentals in Cardiac Surgery: Part III Course will run from 21-25 October 2019. The detailed programme will be announced soon. In the meantime you can still register for the Course here. COURSE INFORMATION Date/Duration 21-25 October 2019 (4.5 day course) Location Windsor, UK Course Director S Livesey, Southampton Course Format Interactive lectures Hands on wetlab … Continue reading "Fundamentals in Cardiac Surgery: Part III"
The Fundamentals in Cardiac Surgery: Part III Course will run from 21-25 October 2019. The detailed programme will be announced soon. In the meantime you can still register for the Course here. Fee includes lunch, refreshments and dinners on Tuesday 22 and Thursday 24 October 2019. Basic principles of cardiac surgery part III. 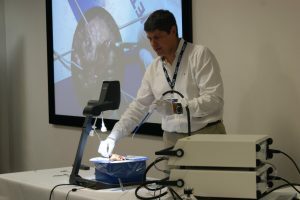 The course will cover the following topics: Mitral and tricuspid valves, arrhythmia, endocarditis, hypertrophic obstructive cardiomyopathy, carcinoid and aortic root. The course will offer expert hands-on wet-lab training. Cardiac and cardio-thoracic surgeons; Residents and fellows in cardiac surgical training programmes. Experienced lecturers from all parts of Europe will present a systematic overview of topics, using advanced teaching techniques.